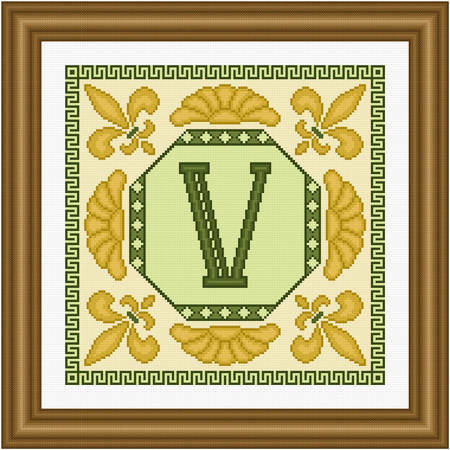 Classic Monogram - V cross stitch pattern... Fleur de lis and other classic image appear in gold. Borders on edges and around letter match the letter, or may contrast with it. Colors may be changed. All whole stitches are used.